A couple of bucks out there for anyone outed in the Ashley Madison hack. Ruby Corp, the parent company of Toronto’s extramarital dating website, still denies any wrongdoing, but will put up $11.2 million to compensate those affected by the 2015 hack. The class-action settlement means a little less than $2 for each of the six million affected users—although people could claim up to $3,500 each should fewer victims come forward. Shifting signs of downtown Toronto. 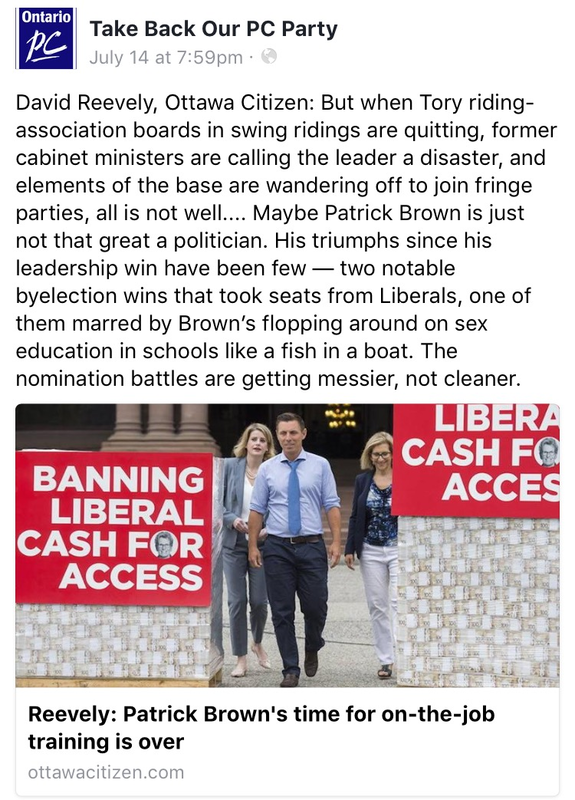 Skyscrapers ascending at King and Spadina get a long view in the Globe and Mail. 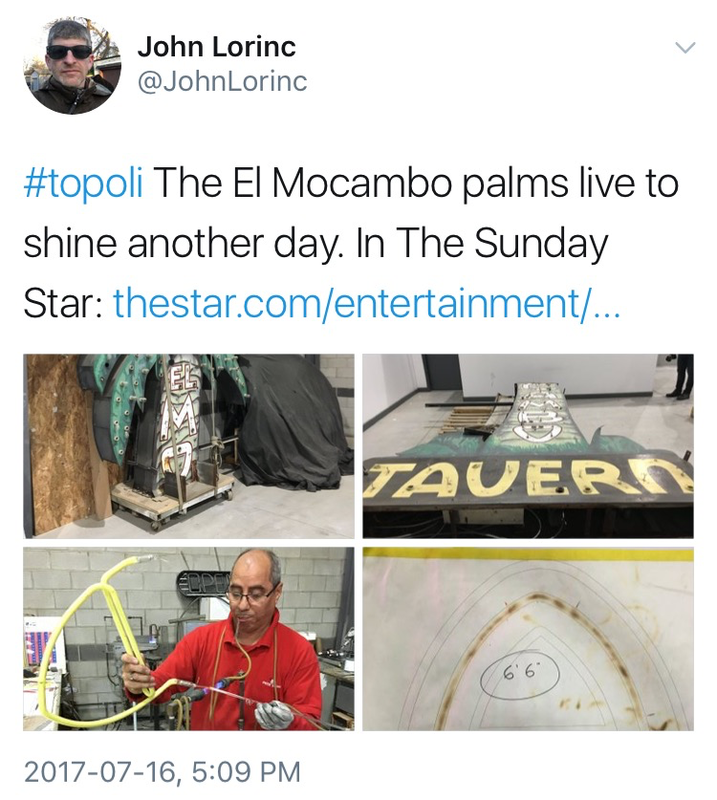 The piece mentions the fact that councillor Joe Cressy tried to turn the area Hooters location into a park—but “Operation Owl” failed, because the site was too expensive. Also, the $250-million facelift of the Toronto-Dominion Centre is getting attention, partly because of its dedication to the architectural vision of Mies van der Rohe—even though the bank fell down on this before. KB726 is the number of a beast of a WWII warplane. 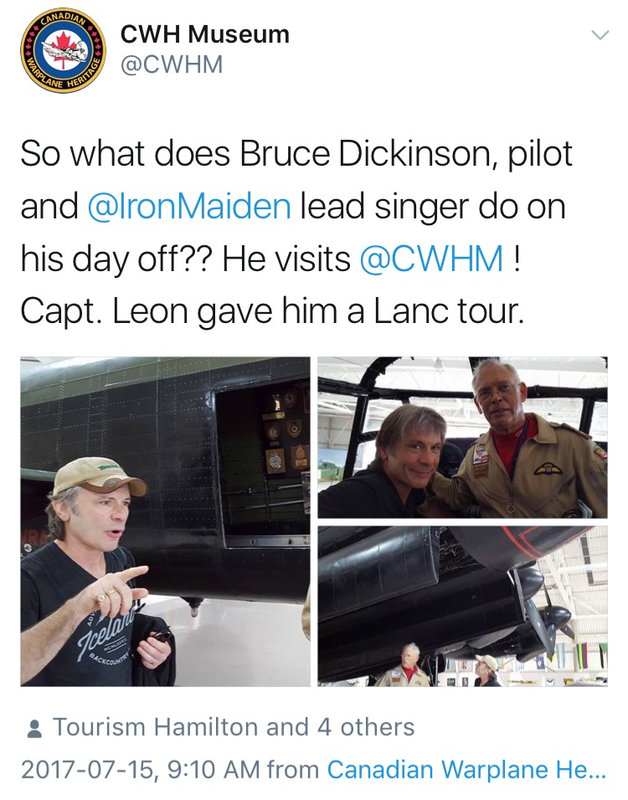 Just before Iron Maiden played the Budweiser Stage on Saturday, the band's frontman took a break from piloting the tour plane, Flight 666, to visit the Canadian Warplane Heritage Museum in Hamilton—although Bruce Dickinson was only permitted to be a passenger in the Lancaster VR-A. The name of a workout supplement slapped with a Health Canada warning because of side effects that can include seizures, psychosis, heart attacks and stroke.